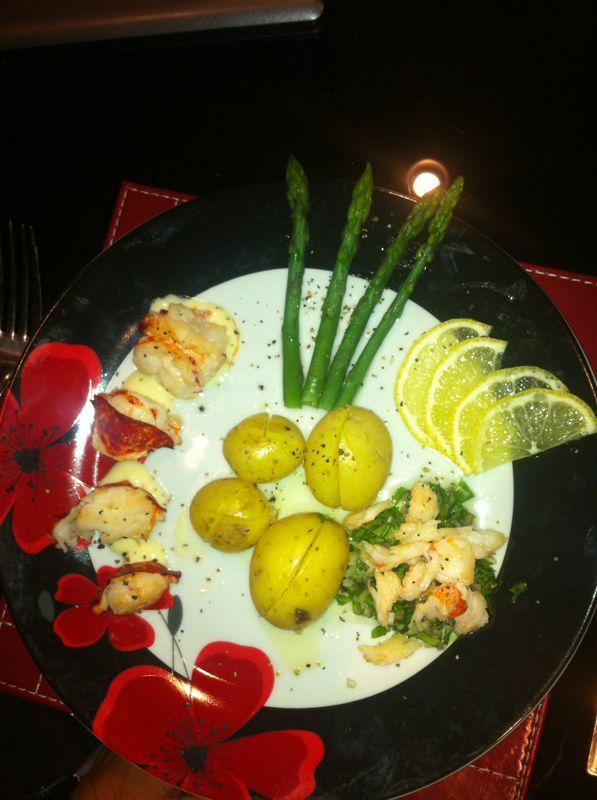 Lobster with truffled mayonnaise, leafy salsa, blanched asparagus and new potatoes. Hi! My name is Sue, and I’m from SlimKicker, a diet/fitness app and website. I found your blog a few days ago and it captured my interest! For your info, our website SlimKicker basically turns your diet/fitness goals into a level up game. The tracker will work in conjunction the website, and allow people to track calories burned and number of steps they walk automatically. The more they exercise, the more points they rack up! That’s basically how it will work. Well as a bit of fitness person myself, I would love the chance to try out and review your product. For my own stats how did you come about my ‘blog’?